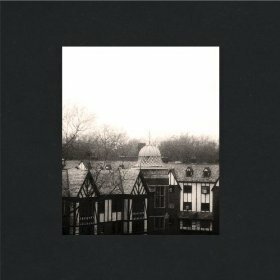 Faced with the daunting task of topping 2012’s Attack On Memory, Cloud Nothings pared back to a trio, brought in John Congleton on the production end, and laser focused the intensity for Here And Nowhere Else. In only 8 songs over half an hour, it reflects a growing savvy on Dylan Baldi’s part on just how to deploy his noisy attacks to maximum effect. It’s a combination of hell-bent playing and psychic churn worthy of Husker Du’s epochal New Day Rising. Picking favorites is a fool’s errand, but “Psychic Trauma”, “Giving Into Seeing”, and the monumental “Pattern Walks” all rate. Lyrically, it could come off as the ultimate tag cloud of dislocated communication: “You know there’s nothing left to say”, “Try to keep it quiet today”, “I don’t know what you’re trying to say”, “Saying something-it’s supposed to be true”, and “You don’t seem to really get it, I don’t even talk about it now”, but careful parsing of the throat-shredding vocals reveals clues, culminating with “I’m Not Part Of Me”, not only their best melodic hook since “Forget You All The Time” from their 2011 self titled album, but an unpretentious manifesto to getting by. An utter triumph in both vision, and execution.